The Kitchen | AAA Five Diamond Award – Lucky #7! AAA Five Diamond Award – Lucky #7! 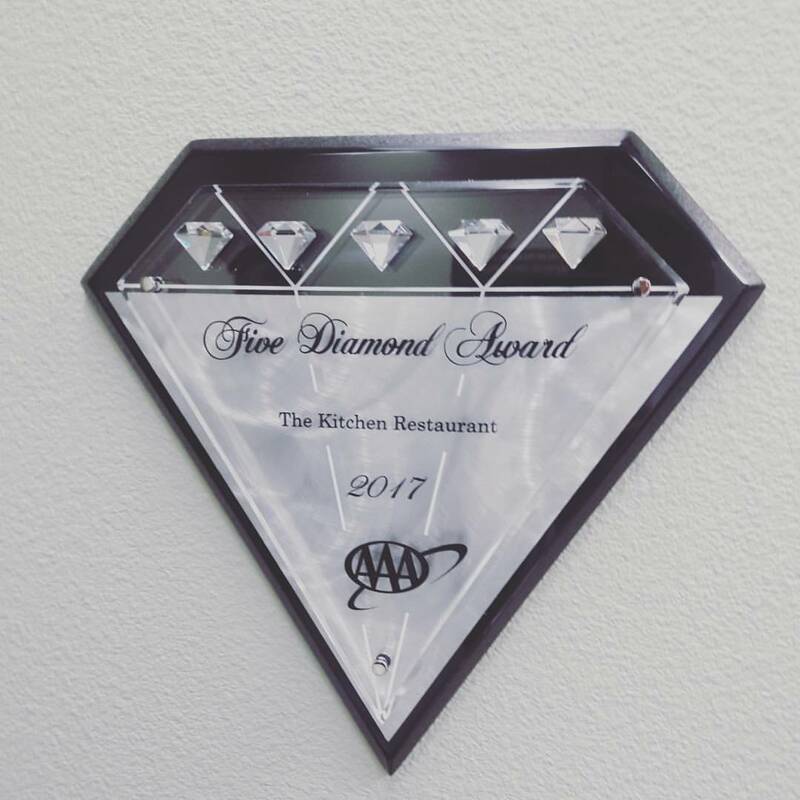 We were humbled and honored to have just received the coveted AAA Five Diamond Award for the seventh year in a row at The Kitchen. Only 0.2 percent of the more than 31,000 restaurants approved by AAA make the exclusive Five Diamond list. This top designation puts The Kitchen amongst such culinary luminaries as The French Laundry, The Restaurant at Meadowood, Jean-Georges, Per Se, Gary Danko and more. Only 63 restaurants in total from North America have made the 2017 list! Chef/Owner Randall Selland says he’s “proud to be in such great company,” and that he appreciates the fact that even though The Kitchen is such a unique and fun dining experience, AAA recognizes that we still uphold the highest level of standards for service, food and hospitality. As always, we could not have done this without the tireless work and dedication of our talented and professional staff, and the loyalty and enthusiasm of our wonderful guests.